Prove your thunderous might when you step onto the battlefield wearing the Thore Steel Nasal Helmet. 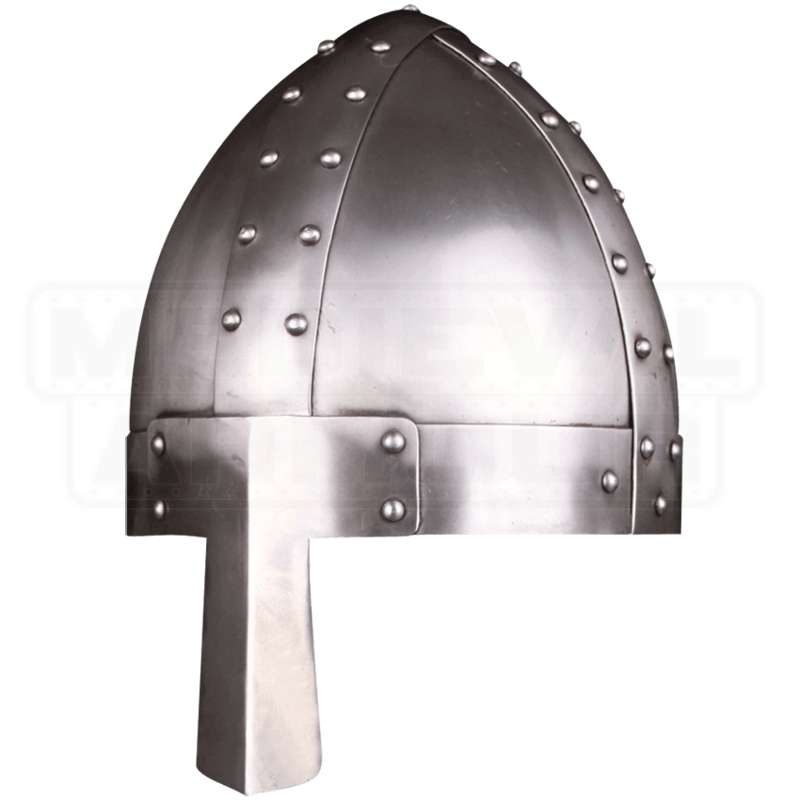 Inspired by early medieval designs, this handmade steel helmet sports riveted strips across its skull in classic spangenhelm form. Its conical skull is strengthened by wide strips of riveted metal that cross at its apex. A long nasal guard attached to the steel helmets brow features an angular central ridge, providing face protection without inhibiting vision. Secure this historical helmet to your head using its two leather straps. 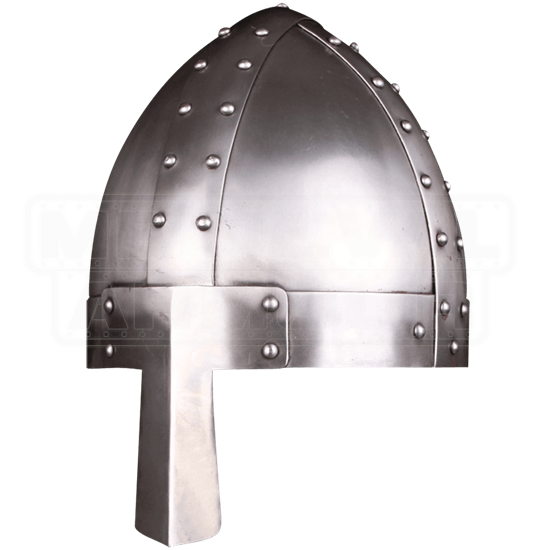 Whether you are dressing as a skillful warrior hailing from the early Middle Ages or a fantasy realm, the Thore Steel Nasal Helmet makes a fine addition to your historical costume or LARP outfit. While the inside is lined with cotton covered foam, we recommend wearing it over a padded arming cap for proper safety and comfort.